The canine species is remarkably diverse in both appearance and size. At the high end, we have a 140-pound Newfoundland. At the small end, there’s the 6-pound Biewer Terrier. But today we’re turning to the middle and focusing on five medium-sized dog breeds. Let’s classify medium-sized dog breeds as between 25 and 60 pounds. 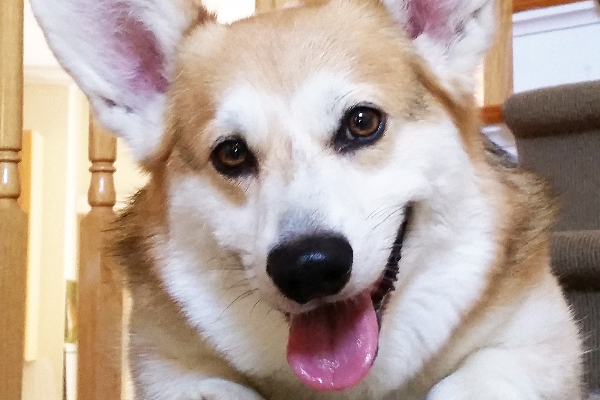 Pembroke Welsh Corgis make our list of medium-sized dog breeds. Photography courtesy Brandon Pfeffer. We’re a short-legged herding breed weighing about 25 to 30 pounds. We’re sturdy and conscientious workers, bred in Wales to take charge of a farmyard. We worked as heelers and drovers of livestock, eradicated rat and mice populations in barns, led fowl to market and guarded property. Our short legs served an actual purpose, helping us avoid the kicks of small Welsh cattle. Today, although I’m not as large as most guard dogs, my situational awareness makes me a celebrated home guardian. I’m also highly intelligent and (perhaps even more importantly by your measure) highly trainable. I can excel in many dog sports, including tracking, herding and obedience. We’re speedier than you might think, and we can ace an agility course, too. Maneuvering around weave poles is easy compared to avoiding cattle kicks! 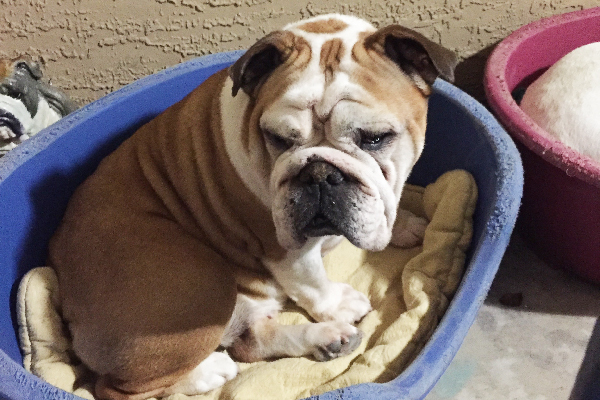 Bulldogs are a mid-sized dog breed that weigh in at about 40 to 50 pounds. Photography courtesy Judy Claytor, Cymri Bulldogs. Weighing about 40 to 50 pounds, we were developed first in England to work on farms and drive cattle. In time, some of my unlucky ancestors were chosen for bull baiting. After bull baiting was banned, we were mainly bred for our good-natured companionship. Today, we’re eager for time with our families, but often less keen on obedience classes. How about we stop and smell the roses instead? Although we look tough, we’re more friendly than ferocious. While we’re not exactly sprinters, we’re definitely strong and stubborn. So, we love being the mascot of many sporting teams. 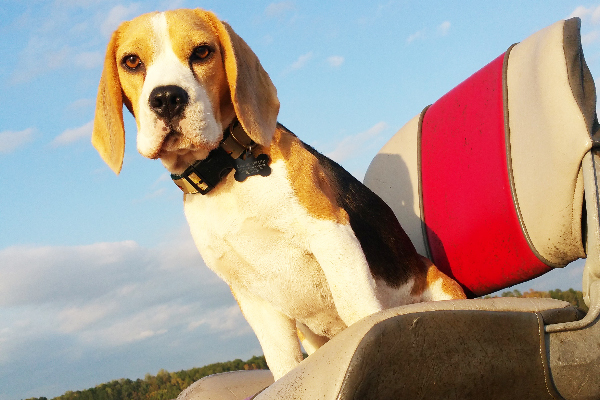 Beagles are a popular medium-sized dog breed. Photography courtesy Cassie Miller. I’m a scent hound weighing in at about 25 pounds. I was developed in Britain from various hounds to hunt prey such as rabbits. Today, we still love to catch a scent; you’ll see us using our incredible noses to discover illegal drugs in airports. A legendarily companion, we also wrap our hearts around family time. You can train me for sure, as long as you find a way to navigate around my independent thinking. Let’s give a shout out to Snoopy, the Beagle who starred in Charles M. Schulz’ cartoon strip, Peanuts. Was there ever a more charming mid-size companion? Finnish Spitzes are a rarer medium-sized dog breed. 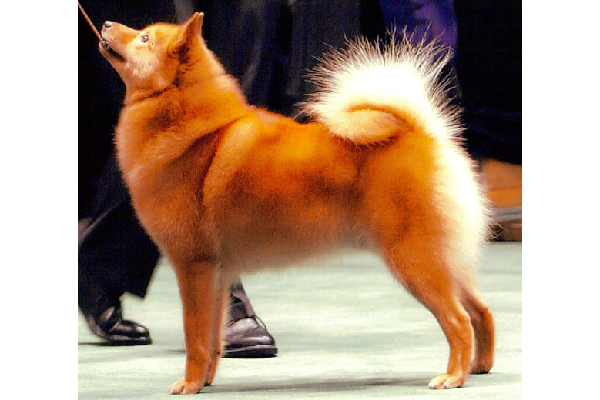 Photography courtesy Michelle Badger, Badger Den Finnish Spitz. You’ve haven’t heard of me? I’m the National Dog of Finland, a.k.a. the barking bird dog. We weigh about 26 to 30 pounds, with our females slightly smaller. Fox-like, spry and enthusiastic, we’re an old breed developed to hunt bird and small game. When we found our quarry, we were taught not only to point, but to vocalize our find. Today, my cousins still hunt in Norway, but here we’re chiefly devoted companions and efficient watch dogs. Even outside of Finland, we remain true to our barking bird dog nickname. 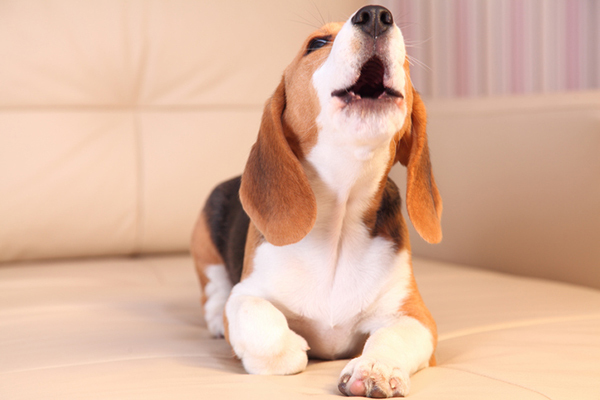 Sometimes we bark, but you’ll also hear me sing or yodel. Schapendoes are Dutch Sheepdogs and are among medium-sized dog breeds. Photography courtesy Colette Peiffer, schapendoesdubouleaublanc.com. A Dutch Sheepdog, we weigh about 30 to 40 pounds. My forefathers were developed in the Netherlands for sheep work. 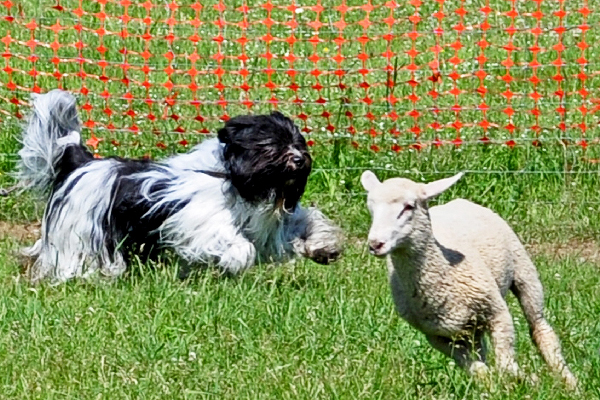 Our herding style involves barking, movement and body contact. Since my homelands had few sheep predators, we were developed smaller than many other sheepdogs. I’m celebrated for my work ethic, ability to jump and pride in my accomplishments. We’re also loyal and loving companions, with top-notch social skills. My jumping talents and spryness help me excel in sports such as agility, fly ball and rally. Tell us: What are your favorite medium-sized dog breeds or mixes? What medium-sized dog breeds should we add to this list? Thumbnail: Photography ©srugina | Thinkstock. Dog breed profiles help everyone, whether you have a mixed breed or purebred dog, to better understand and improve the quality of your dog’s life. If you have a mixed breed dog, read up on all of the breed profiles that make up your dog. Not sure what breed your dog is? There are a number of easy DNA tests out there to help your find out. The post Sizing Up 5 Medium-Sized Dog Breeds appeared first on Dogster. Previous PostPrevious Can Your Dog Get a Fungal Infection?